In under two weeks, one or several economists will be added to the venerable list of Nobel laureates in economics. 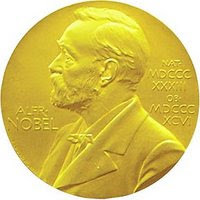 We all have our suspicions as to who might be tapped, and the notorious secrecy of the Swedish Academy gives us the opportunity to turn those suspicions into an exciting annual tradition: the Bank of Sweden Nobel Memorial Prize in Economics Pool. The entry form, along with detailed rules,are at the link below, but essentially all you need is a spare dollar and a favorite economist (and you know you have a favorite economist). Thanks to recent market turmoil, this year the wager has a higher expected return than almost anything else you could do with that dollar (including buying a T-Bill), so there is no rational reason not to enter. So please play along and pass it on to your friends (although the pool is run out of Harvard, anyone may enter per the rules of the contest), and good luck!